In becoming a mom have I forgotten who I am as a woman and a wife? My mother taught me to always look my best when I left the house – something about never knowing who you might bump into and all that…but what about also looking your best when you’re at home? Looking your best for your spouse? And even looking your best for your children? Looking your best for yourself? 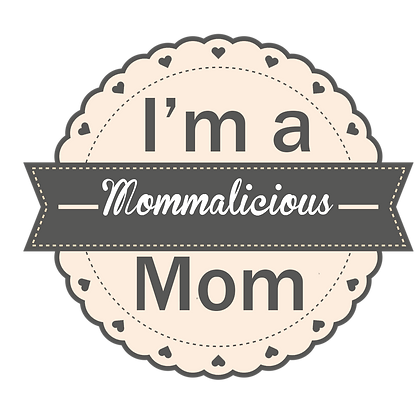 But since having kids, I know my appearance has taken a back seat to all the other stuff that comes with being a mommy. I always vowed that when I had children, as with many other things I made false promises about, that I’d never let myself go the way I saw other moms go – you know, the mom bun, the sweat pants, no make up. Well, a bit of humble pie is in order as I look at myself in the mirror this morning. Who is this scruffy woman with the terrible dark roots, scraggly pony tail, blotchy skin and glasses on? I didn’t recognise her. I never used to leave the house without make up on – although that’s still a regularly enforced rule for me, I wear a lot less these days, and sometimes have even gone without. My hair was always perfectly blow waved and coloured, and although I’ve never been the most fashionable, I kept up with what was in the shops and tried to look my best in what suited my figure. I realised yesterday that my standards have dropped, when getting out my car I looked down to see a juice-stained top and half painted toenails. And in that moment I realised it didn’t actually bother me that much, I didn’t really care about what people thought – I’m a mom after all – I don’t need to look good, I’ve got other priorities. Or do I? Am I fooling myself by hiding behind the mess? Have I let myself go to the point that I don’t even recognise the person I’ve become? What am I teaching my girls? Looking your best is not about vanity at the end of the day, it’s just plainly about making an effort, and not necessarily for anyone else, but making an effort for yourself. Surely I should be teaching my daughters to care about themselves and their bodies? To at least brush their hair? To wear clean clothes? And what about my husband? I certainly don’t look anything like the woman he married six years ago. The woman he married cared about what she looked like and she wanted to look attractive for her husband. The woman he married was attractive to him, made an effort for him (and herself). I had another wake up call yesterday when my mother reminded me of this. It’s something I will always remember about growing up – my mom would always go brush her hair and freshen up her make up when she knew my dad was on his way home. I used to think it was so sweet that she wanted to look good for her husband, even after all these years. It was something I thought I’d also do one day. And I thought shame on me for not doing the same thing today. Just because we become a mom, and become surrounded by the chaos and mess of having kids, we don’t stop being a woman, don’t stop being a wife. We don’t stop being that person our spouses fell in love with, the person they married. Yes, we change and we grow, we mature, but surely we shouldn’t have to compromise on making an effort, even in some small way. Don’t forget about yourselves ladies. Don’t forget to brush your hair, put some lip gloss on, put a pretty top on. If not for anyone else, but yourself! When you feel good about yourself, your whole outlook on life can change. After all, how can you love others, how can you care for others if you don’t love and care for yourself? As a mother, we always try putting everyone else’s needs before our own. Well today ladies, I encourage you to put yourself first – look after yourself, care for yourself, love yourself. I know there is much more to being a woman and a wife than looking good and maintaining your personal appearance, but it’s a small step to helping you to not forget about yourself. Don’t let yourself go for the sake of motherhood. Your kids might not notice now, but one day they may look back and respect you more for it. Be the example for them. Make yourself beautiful. Embrace your new body and make yourself feel good again.